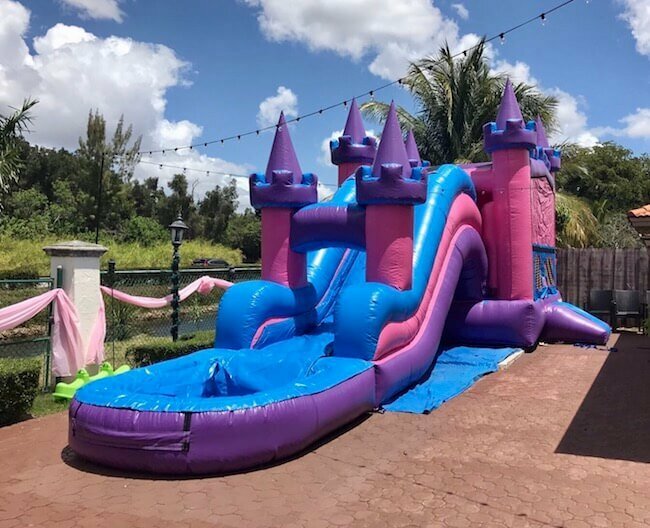 We are proud to offer the Largest Selection of water slide rental and bounce house rentals in South Florida including Miami, Broward and Palm Beach, Florida. 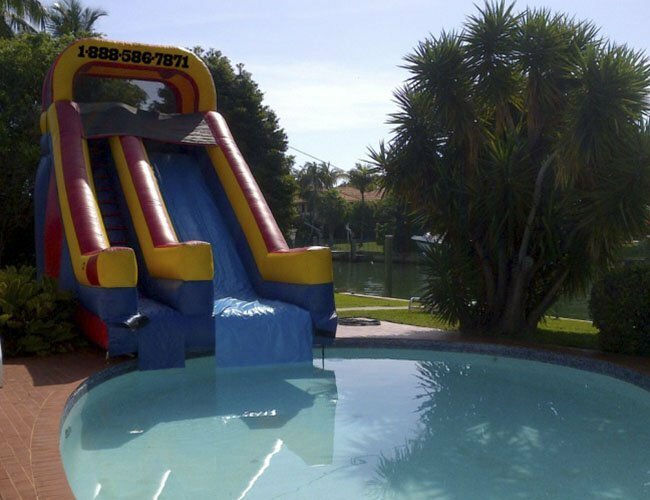 Inflatable water slides are great fun for kids aged three and older. -Avoid contact with others. 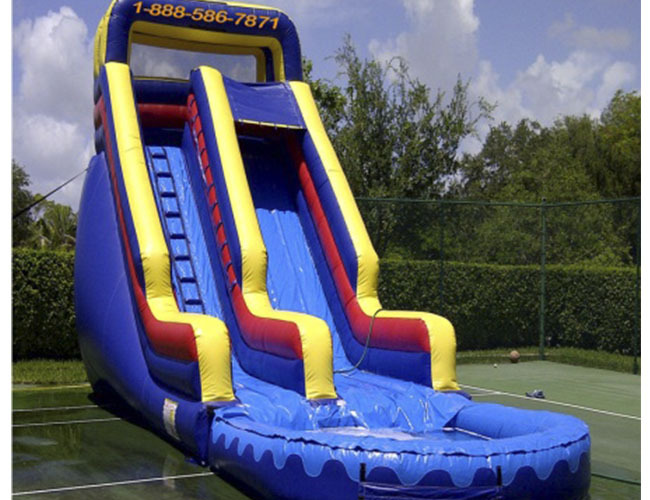 Slides that are higher than 20 ft are suitable for adults. 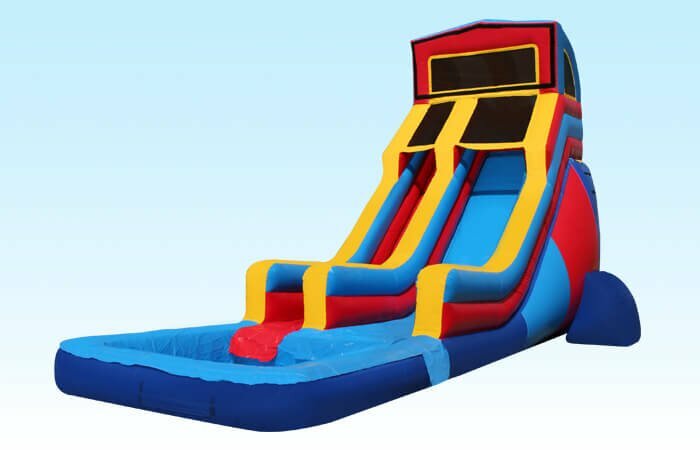 -Inflatable slides will have air coming out from the stitches all the time. 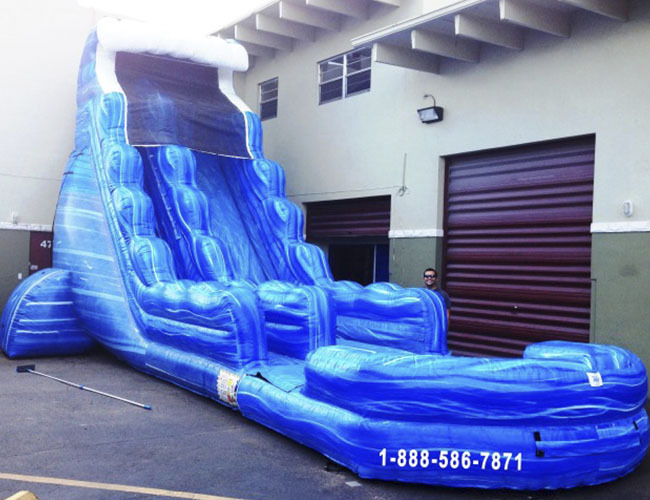 Inflatable slides are not like balloons that are sealed up airtight. Air coming out from the stitches is normal. 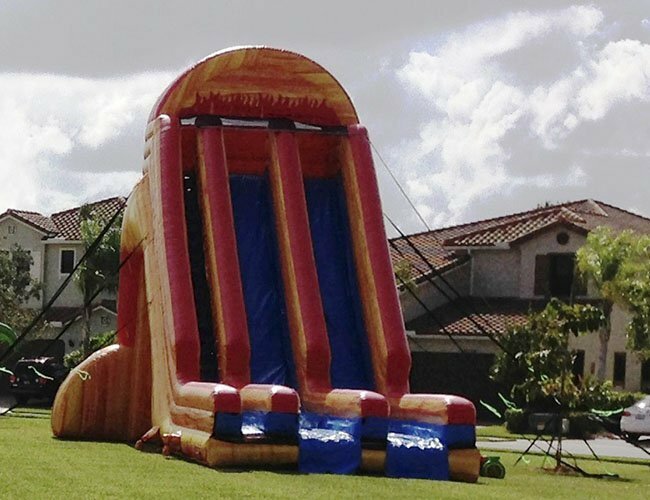 -Any inflatable water slide rental cannot have contact with any surrounding surfaces like: walls, fences, trees, or the roof. 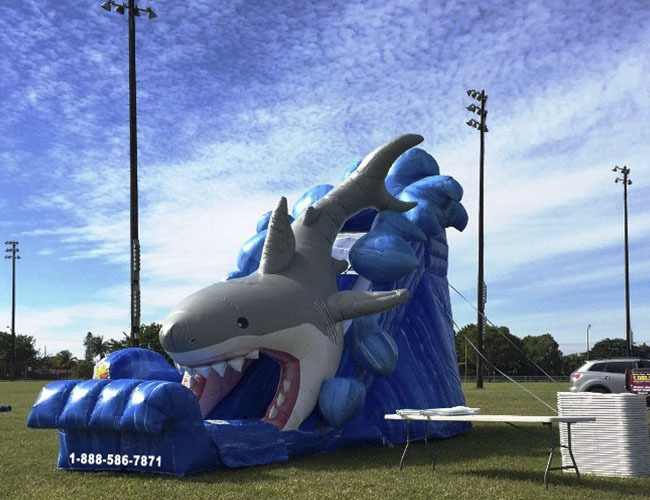 Inflatables need at least a foot of clearance on each side. 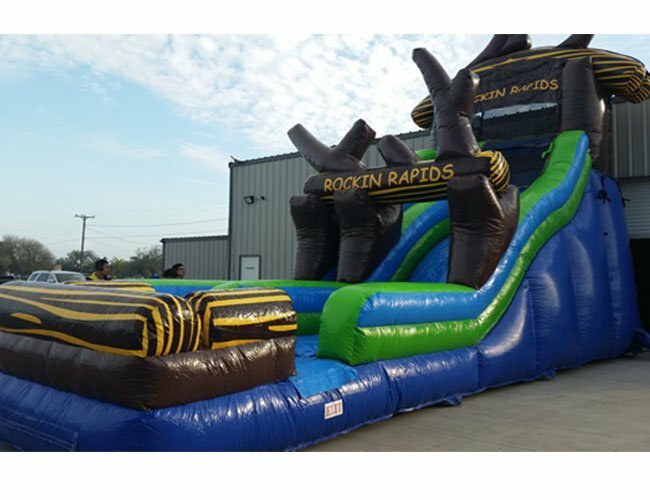 -Water slides require adult supervision all the time! 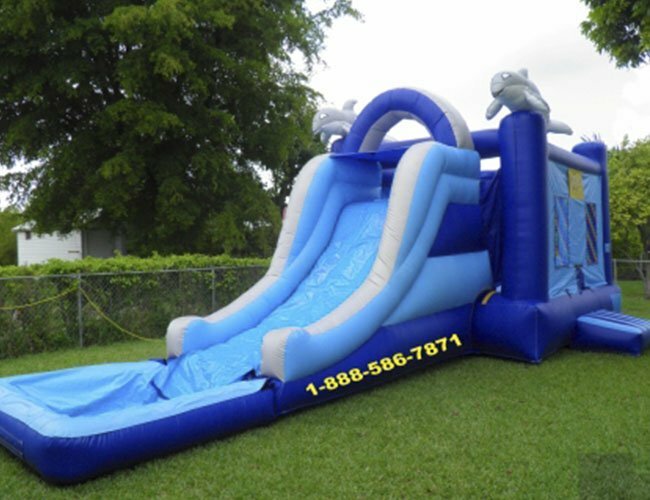 It is also important to follow the safety rules located on the side of the inflatable slide. 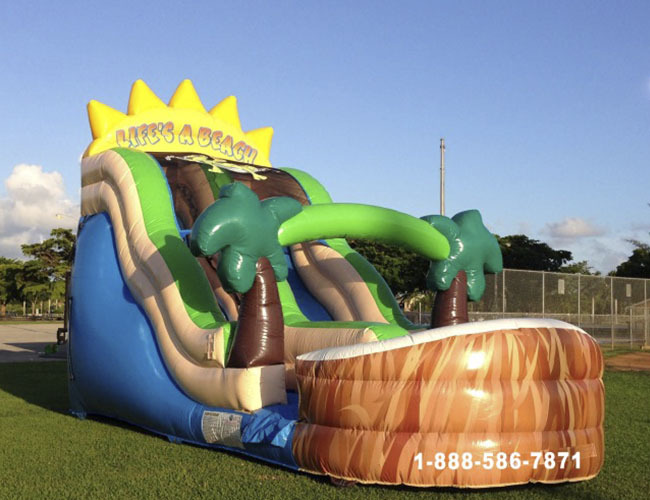 -The proper way of using a water slide is to slide with the arms crossed and feet first. 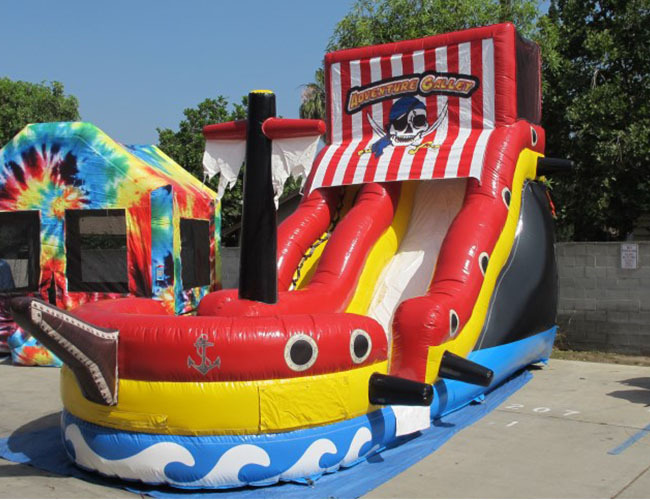 -Passengers must be instructed to take turns and ride slides individually. Do not allow double riding. 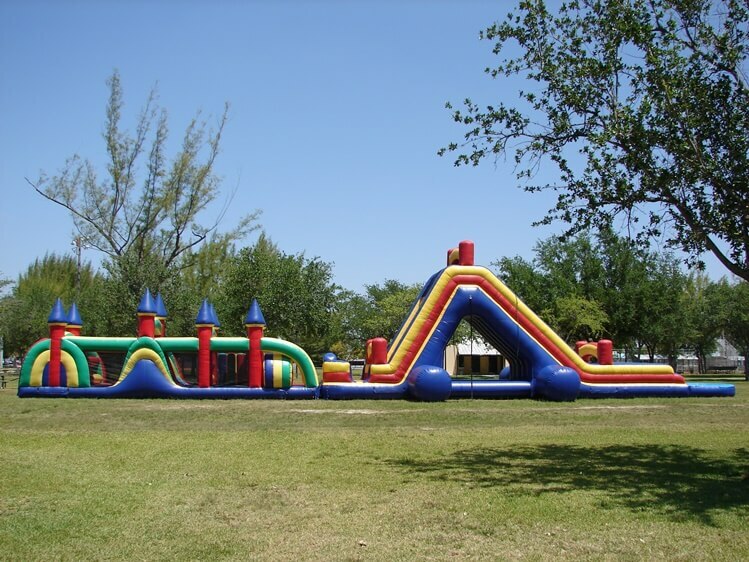 -Keep landing areas clear! Operators should not allow participants to land on one another. 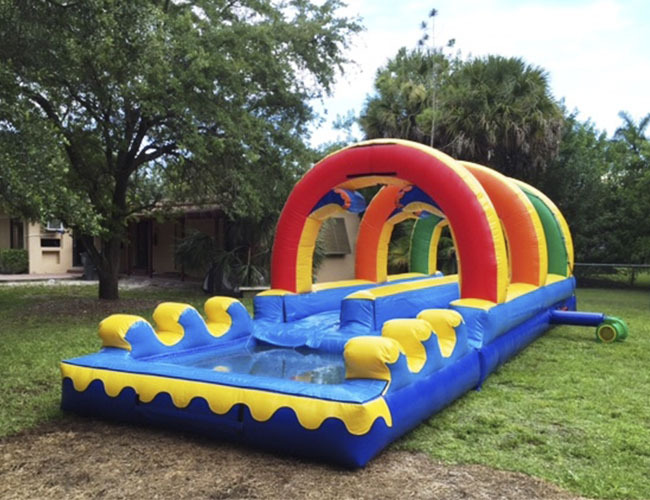 No flipping should be allowed because accidents will happen! 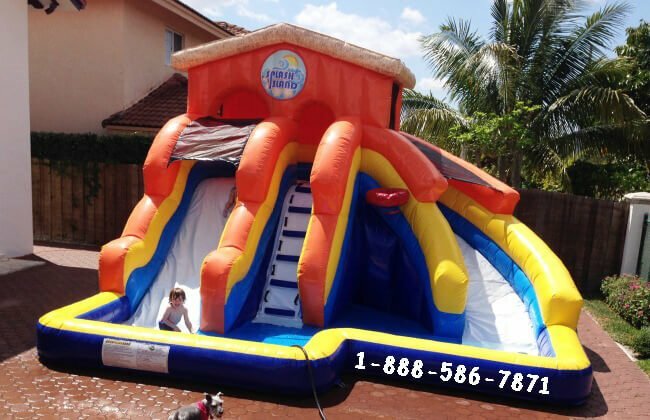 -If the water slide ever starts to deflate remove all the kids from the inflatable in an orderly fashion. 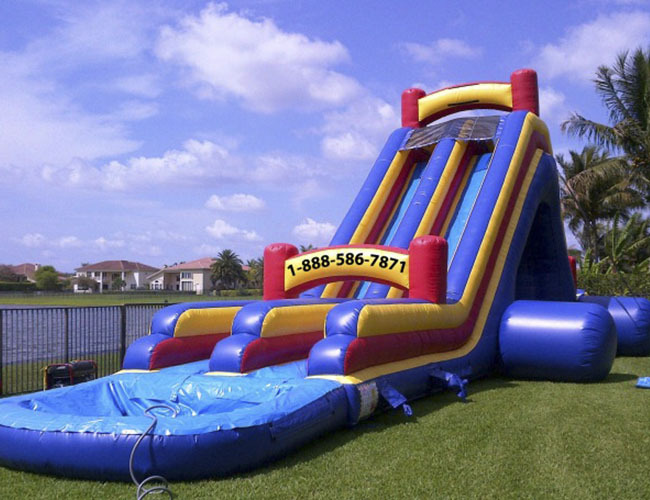 There is no need to panic since it will take some minutes for the slide to deflate completely. 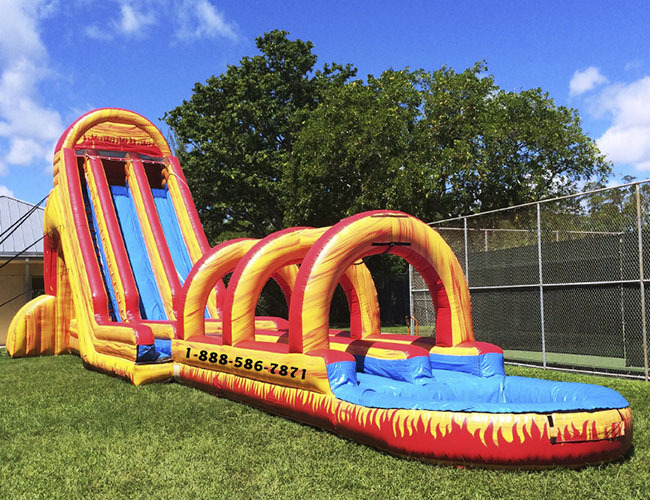 Stop the use of the water slide if lightning occurs.